Welcome to your Chardham Yatra, with The pioneer of " luxury pilgrimage in Yamunotri ," The Yamunotri Cottages is located in Kharsali village which is situated around Yamuna's father's home and placed between the Yamuna and the river Hiranyabahu It is adjacent to the only Helipad in Yamunotri amidst the stunning beauty and majestic snow clad Himalayas, beautiful meadows, conifer trees and stepping paddies. The Yamunotri Cottages is the ultimate place to relax and calm your mind during your 'Chardham Yatra' at Kharsali. 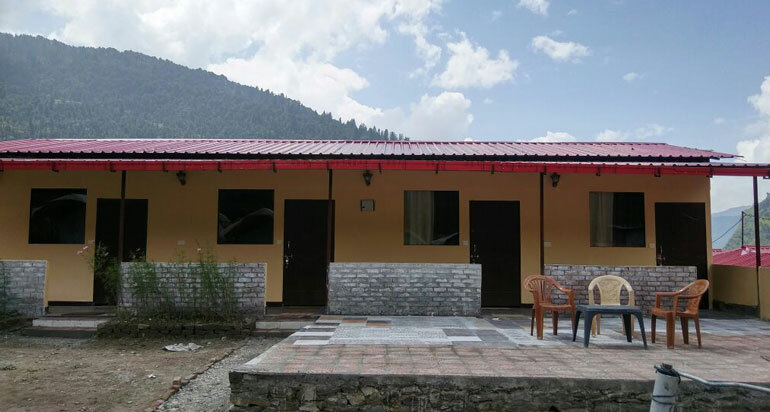 The Yamunotri Cottages offers you a variety of luxurious stay either in well furnished modern Cottages/Huts or the experience of camping in ultimate Swiss tents(with attached baths and toilets). One can take a walk into the village Kharsali in the evening or visit the Shani temple. The priests of Yamunotri temple come from this very village alone since ages. Amongst the most famous and pious pilgrim spots is the Yamunotri, situated in the midst of the beautiful and majestic Himalayas. Visitors say that the beauty of this shrine is breathtaking, irrespective of the number of times they have visited it. Hindus from all over the country travel here to pay homage to the origin of the River Yamuna that is in the opposite direction of the River Ganga. The rooms are furnished keeping in mind the prerequisite of serenity and comfort for visitors. They are equipped with in room service for tea/coffee, hot and cold water, comfy beds and other requisite amenities. The cool, soothing and relaxing ambiance of the room allows the guest to chill out from their busy life. The nearest airport and railway station to the region are Jolly Grant Airport and Dehradun Railway Station. Situated in Yamnotri, Yamunotri Cottages offers cordial hospitality, welcoming ambiance and essential amenities to ensure a hassle-free stay. The in-house restaurant offers a gastronomic experience serving delicious meals in an elegant setting. 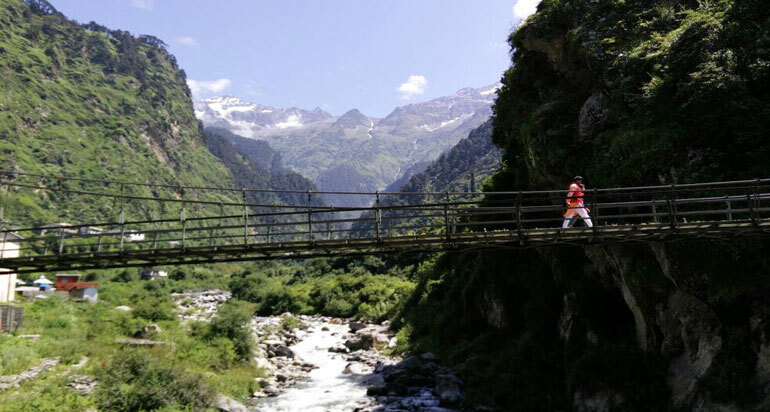 The guests can visit places like Janki Chatti(160 m), Yamunotri Temple(1 km), Hanuman Chatti(9 km) and many more.